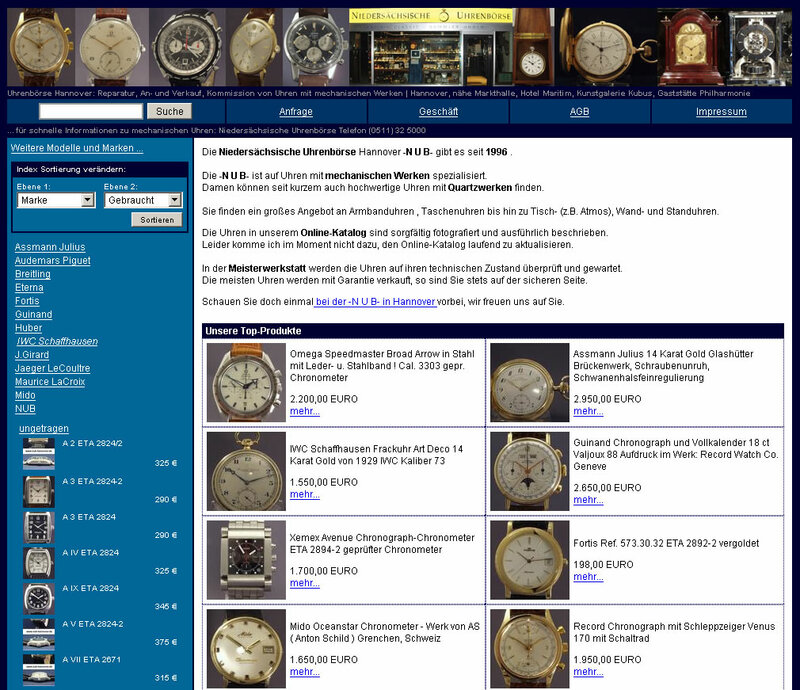 The exclusive shop for mechanical watches needed a internet presentation a while ago. In the first version the csv based product management was introduced to allow a frequent update without the need to develop a complex cms. The need to move forward came, when too many products in the main page menu confused the users and stretched the page to an inacceptable length. Now in the second version the site utilizes a configurable menu on the left side to help users find their product by different criterias. Also the need for uploading smaller picture sizes was abolished by a software component, creating these.